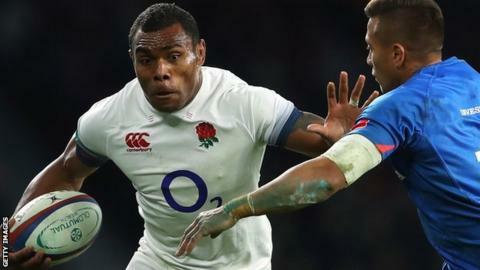 Bath and England wing Semesa Rokoduguni needs surgery on a shoulder injury, which could see him miss the start of the Six Nations. The 30-year-old, who was recalled to the national side for the win over Argentina last month, was forced off in the defeat by Exeter Chiefs last week. England's Six Nations campaign begins in Italy on 3 February and the surgery could leave him out for two months. Bath director of rugby Todd Blackadder said Rokoduguni would be "a big loss".